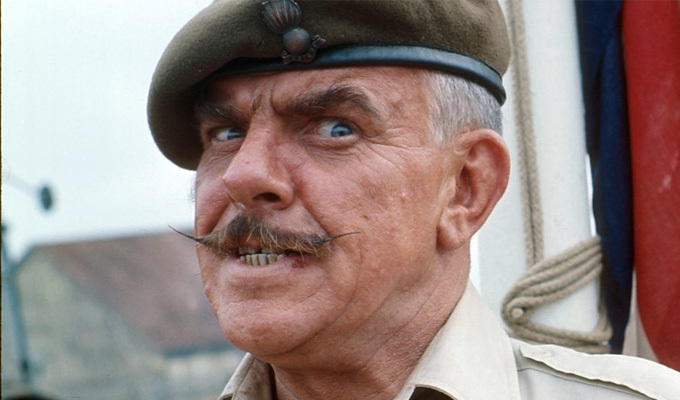 This weekend's news that It Ain't Half Hot Mum star Windsor Davies has died at the age of 88 revived interest in the sitcom that made his name – as well as countless reactionary cries against the political correctness that means you can't even black up and call people pooftahs for a joke any more. But as the comedy returns to the spotlight - if not our screens – what happened to the other stars of the show? Although nothing has matched the profile of It Ain't Half Hot Mum, Haynes has remained busy since the sitcom ended. Screen credits include Drop The Dead Donkey, where he played the rich husband of newsreader Sally Smedley, a recurring role as Michael Rawlins in EastEnders in 2005 and a camp role as Mr Pink in ITV's Benidorm in 2011. He has also been in demand as a panto dame, including a 15-week season at the London Palladium in 1981 and runs inWorthing and Chatham in the 2000s. Haynes has aslo lent his voice to children's animations such as SuperTed, Budgie The Little Helicopter and Little Dracula – and says on his website that he is slowly writing his autobiography: a task that has taken him 27 years so far. In 2011, Hayes and his wife Jayne moved to the Isle of Wight as they felt it would be a 'safer' place for the more than 50 children they have fostered. A talented tenor, Estelle had a Number 1 hit in 1975 with a semi-comic version of Whispering Grass, sung in character with Davies. But the post-sitcom years were not kind to him, with IMBD listing just six credits after 1981, the last being his 1999 appearances as Little Don in The League Of Gentlemen. 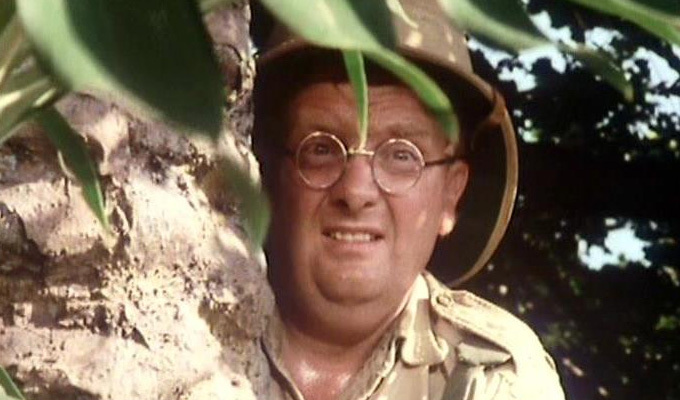 He was buried in Rochdale with the oversized pith helmet he wore as Gunner Sugden. After It Ain't Half Hot Mum, Davies went on to star in another long-running sitcom, appearing opposite Donald Sinden as Oliver Smallbridge in ITV's Never The Twain about rival antiques dealers during the 1980s. His last role was playing an elderly night porter in the BBC sitcom My Family in 2004. He died last Thursday at 88. 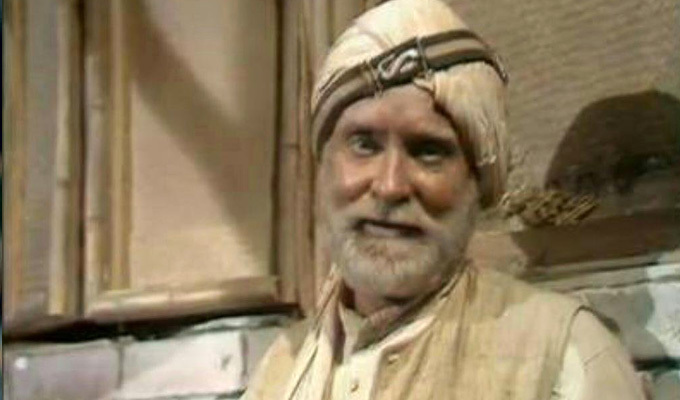 Bates – who had previously appeared in Last Of The Summer Wine and as a prison guard in A Clockwork Orange – had the most controversial role in It Ain't Half Hot Mum, adopting 'brownface' to play the Indian character of Rangi Ram. 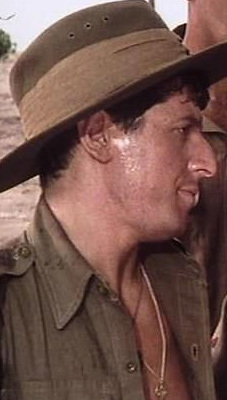 He died of cancer in 1978, aged just 57, midway through It Ain't Half Hot Mum's seven-year run. 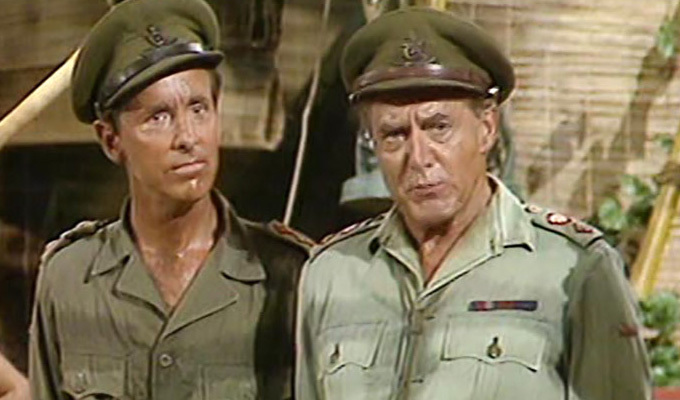 Hewlett (pictured above with Michael Knowles on the left) went on to star in two more sitcoms from It Ain't Half Hot Mum writers David Croft and Jimmy Perry: Come Back Mrs. Noah – a comedy sometimes dubbed one of the worst sitcoms ever made, and which revolved around Mollie Sugden playing a housewife in space – and the stately home sitcom You Rang M'Lord?, where he played Lord Meldrum from 1988 to 1993. He also played Admiral Godfrey in the 1989 TV movie Goldeneye about James Bond creator Ian Fleming. Hewlett died after a short bout of pneumonia in 2011, aged 90. Maintaining his screen partnership with Hewlett, Knowles also appeared in Come Back Mrs. Noah and You Rang M'Lord? He also provided the voice of the head of the Air Force in the 1989 animated movie of Roald Dahl's The BFG. 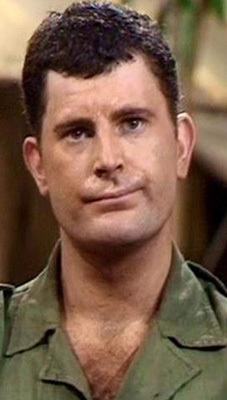 Knowles – who had appeared in Dad's Army – also co-created the radio sitcom It Sticks Out Half a Mile, a sequel which imagined the Warmington-on-Sea platoon running a decrepit seaside pier. Writing credits included On the Buses, Nearest And Dearest, and My Name Is Harry Worth – all of which he penned with future Yes Minister co-creator Jonathan Lynn – and Robin's Nest, beforehe went on to create the sitcoms Don't Wait Up starring Nigel Havers and and Executive Stress with Geoffrey Palmer and Penelope Keith. On screen, he starred in the 1977 movie Stand Up, Virgin Soldiers and in the 1999 BBC One comedy-drama series Sunburn as well as voicing the children's cartoon Pigeon Street and Sydney, a character in the long-running advertising campaign for Tetley tea. His daughter Hannah is now a comedy agent. Clegg has had several small screen roles since his memorable appearance as the 'la-di-dah' gunner, including You Rang, M'Lord, Coogan's Run and Bridget Jones' Diary. 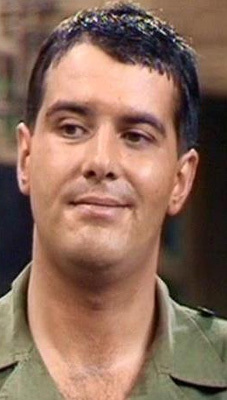 After the concert party of It Ain't Half Hot Mum disbanded, MacDonald became a regular in another hit sitcom – playing pub landlord Mike in Only Fools and Horse. He died in August 2001 at the age of 50, after suffering a massive heart attack, while on holiday with his family in Hawaii. 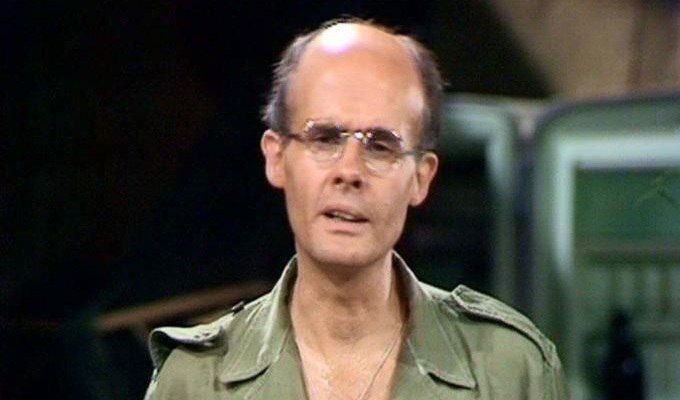 Following It Ain't Half Hot Mum, he appeared in two episodes of Only Fools and Horses as policeman Terry Hoskins, and as the recurring character of Ron Bigmore in Mr Majeika. He was briefly reunited with Windsor Davies in Never The Twain, playing a barman in two 1988 episodes. Mitchell died from cancer at the age of 53, in 2001 a month before his father, fellow actor Norman Mitchell, and in the same year as Kenneth MacDonald, above. 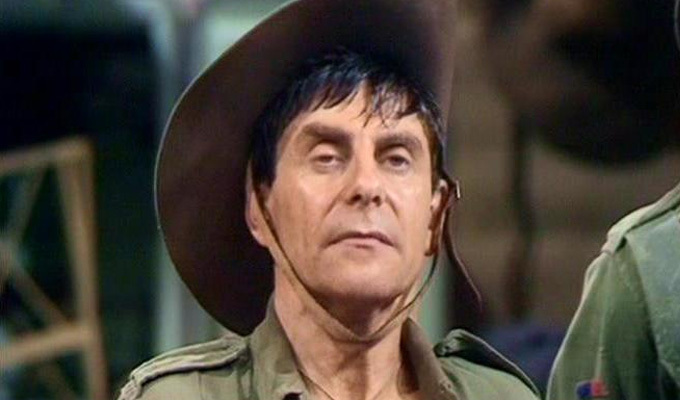 He tried to sing Land of Hope and Glory at the end of every episode of It Ain't Half Hot Mum, only to be interrupted by Davies' telling him to shut up. 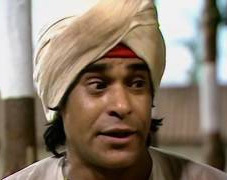 But this was not the only politically incorrect comedy he was involved in as he also played Pakistani student Ali Nadim in ITV's Mind Your Language. The series was cancelled in 1979, despite attracting some 18 million viewers, as ITV executive Michael Grade considered the stereotyping offensive. Later roles were harder to come by, save for a minicab driver in Minder and an immigration officer in 1978's Carry On Emmanuelle. Shafeek died from a heart attack at his home in London in 1984, just before his 54th birthday..